Always reminds me a little of a line from Star Wars “A wretched hive of scum and villany”, actually, that is very harsh, if you are in the town,for a few days then it is easy to see the attraction. It’s busy, loads of stuff to see, always chock full of other tourists, maddies and zoomers. The majority of you will end up in hotels in this general area and truthfully, it is the best base for a short trip. You have so much to see on your doorstep and if inclined, the beach is only a 15 minute walk away. I won’t give you any specific recommendations what to hunt down just wander about and drink it all in. That said, if you get a bit peckish there a couple of places that are great for a snack to keep the energy levels up. (Warning, the idea of recommending one of these places makes me hate myself a little bit) In Pl. 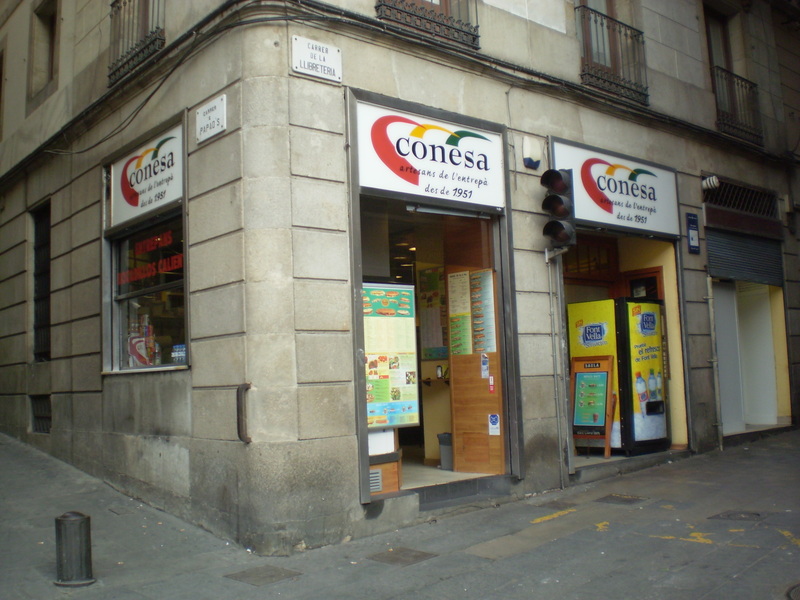 St Jaume, at the top of Carrer Ferran there is a smashing wee sandwich shop hidden away in the corner called Conesa, it’s all very simple stuff but you will notice it is comfortingly busy and everything cooked fresh to order. Cheap as well bearing in mind its location. Okay, now the hard one, if I hadn’t rejected my catholicism transplant at an early age the next paragraph would have me scuttling to confession. 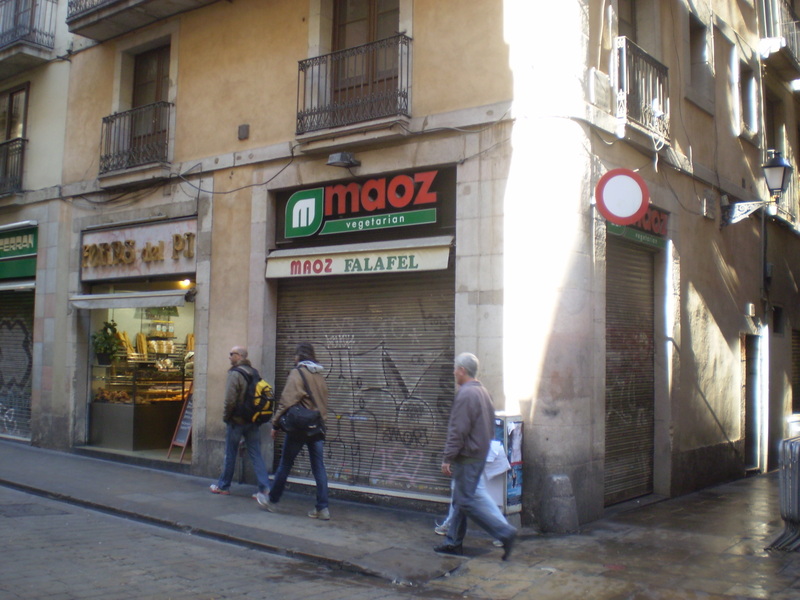 If you fancy something different and healthy and *gulp* vegetarian then there is a place at the bottom of Carrer Ferran called Maoz. This place does falafel kebabs, they are cheap and you get to fill the thing was as much salady stuff as you want. So, if for some INSANE reason you know a vegetarian this is the perfect place to visit. I say this as there are places in this city where they struggle with the concept of “suitable for vegetarians” (For my part I think that should be engraved on the barrels of all firearms) a guy I know was once brought a ham sandwich when he asked for the vegetarian options. There’s a Maoz on Old Compton St in London. It’s dead nice.